We first came up to Canning Circus on a food (and beer) hunt during the summer and at that time we were working our way along the Route to Real Ale. 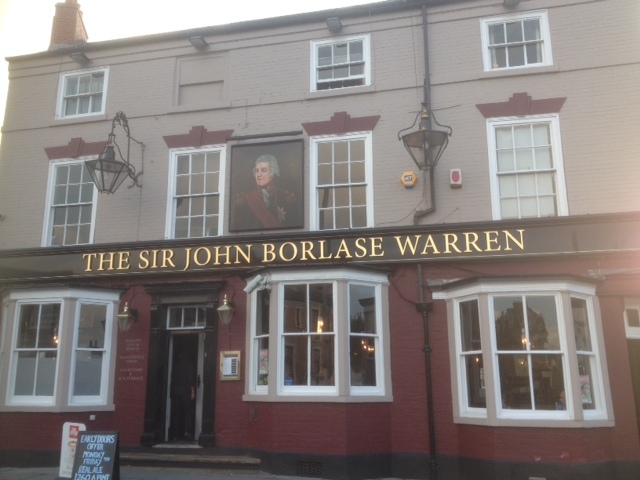 The Sir John Borlase Warren was one of the pubs in that guide. Back then it had just reopened after refurbishment and we had a fine time supping upon a pint of the Everards Sunchaser beer which is described by Everards as “a thirst-quenching beer made in the style of a continental lager”. Since then it has closed and re-opened again. We came up here again to sample beers on the Canning Circus Circuit and we popped in to see how it was faring. 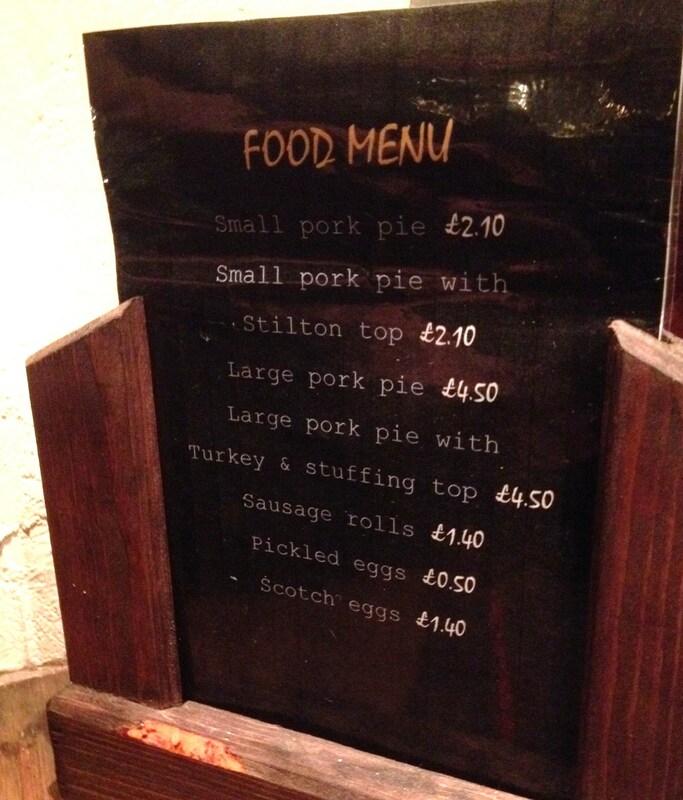 On the food front at the moment they are just serving some simple bar snacks such as Pork Pies and a Cheese platter. I understand that in the near future they will start serving meals and there was even some talk of a pizza oven being brought in. So on the food side there may be some interesting times ahead. At the moment they are serving up a couple of bar snacks, when we walked in this last week they were serving Crusty Cheese Cobs for £1.75 and I was happy to see that they were still selling the Falcon Scotch Eggs for £2.75. I would recommend trying one of their homemade scotch eggs with your pint. I hear that they are worth the trip up the hill on their own!